We are proud members of Independent Cambridge (indie), who are amazingly supportive of local businesses and champion the diversity and individuality of our local indie scene. Check out their website for all the local news and events from Independent Cambridge business owners. In 2019 we were proud sponsors of The Cambridge Home and Garden Show which took place over a weekend towards the end of March. It was the second time this event had been hosted in the city centre and it was a tremendous success. Alongside a wide variety of exhibitors, on hand to offer advice and promote their services, there were informative talks from local experts and some fabulous workshops to get some real hands-on experience. The Mill Road Winter Fair is a fantastic annual event held on the first Saturday in December. The entire length of Mill Road is closed to traffic and over 10,000 people join in the fun and celebrations, with a multitude of activities taking place. There are dance and musical performances, events and activities for children and a wide variety of food stalls to suit everyone’s taste buds; the Mill Road Winter Fair is a must for all Cambridge residents and visitors alike. We have admired local Cambridge artist Naomi’s work for sometime. 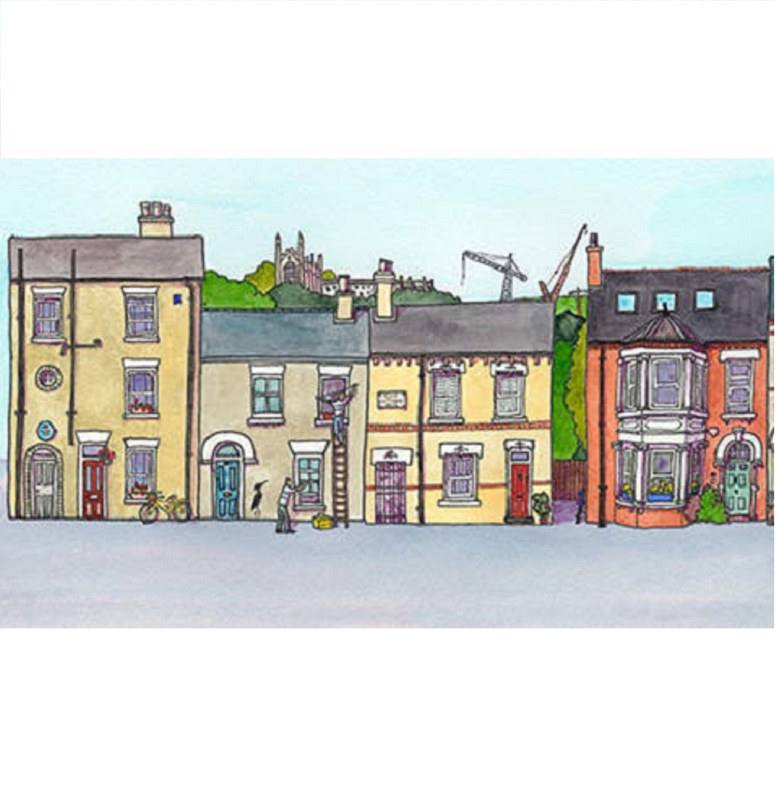 Last Summer we took the plunge to rebrand – after meetings with the lovely Naomi we entrusted her with creating a fictitious Cambridge Street with houses of projects that we have worked on – Cambridge Classics have exclusive copyright and are thrilled with Naomi’s creation. Can you spot the Cambridge heron ? A Cambridge cargo bike ? Have you spotted our colourful clever branding on our vans around town ? We know and love the streets of Cambridge so much it made perfect sense to replicate it in the best way possible – a colourful, Cambridge eye catching visual perfectly created by Naomi. In 2018 our team at Cambridge Classics were delighted when the well-known Motor Sport competitor, Mark Blundell, commissioned us to replace windows and doors in his Cambridgeshire home. Mark was so impressed with the quality of our workmanship he asked the team to replace the office doors at Mark Blundell Partners, his athlete management and sports marketing agency. Here at Cambridge Classics we have no doubt this outstanding Motor Sport hero will live up to expectations and the infamous slogan on his helmet – ‘The Will To Win’. 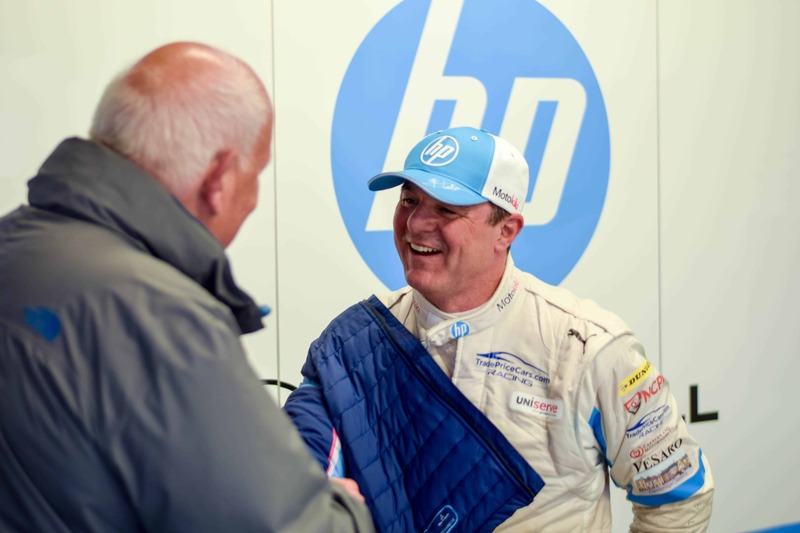 We are delighted Mark Blundell is proud to be carrying the brand of our successful, local firm as he returns to competitive action. Alongside his race-suit sponsorship we are delighted to announce Mark will be helping us to open our brand-new showroom later on in the year. Mark and his team will be helping us to deliver an amazing and memorable event. We will announce more details about our brand new showroom opening in the coming months. Watch this space!